Whether it’s your home, vacation house, or camp grounds, you’re always going to need light at some point. Solar powered lighting is a great way to keep the inside or outside of your home lit up without having to think about changing batteries or deal with electrical wires and extension cords. Below I’m going to list different solar lighting products so that you can see all of the different options you have to choose from depending on your situation. Path lights are small solar powered lights that go along the walk way to your front door. This is a great way to keep your front yard lit up so that you can see when coming home at night. You can use battery chargers so that you use battery powered flashlights and “push on lights” inside your house, tent, T.P, or wherever you’re staying. For these chargers to be solar powered you’ll need your own solar panel. I’ve already written a post on how to do this; if you’re interested click here to see how to build a solar panel. These are great for small closets and pantries. Usually it would cost a couple hundred dollars to get a new light installed in a closet, but with push on lights you can put them anywhere and they only cost $20-$30 on average. Alright, hopefully these solar powered lighting products give you some good ideas on what you can do to save electricity around your house. 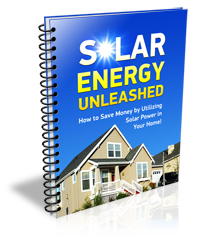 With everything I showed you here, you can have the outside and inside of your house lit up fairly cheap and once you have your own solar panel set up everything will pay for itself in just a few months.